The waterpark, with its tropical temperatures, is Lalandia's trademark facility, where you can enjoy the view of the Baltic Sea. We guarantee a water temperature of 28°C and an air temperature of 30°C all year round. For our resident guests there is free entrance to the waterpark. 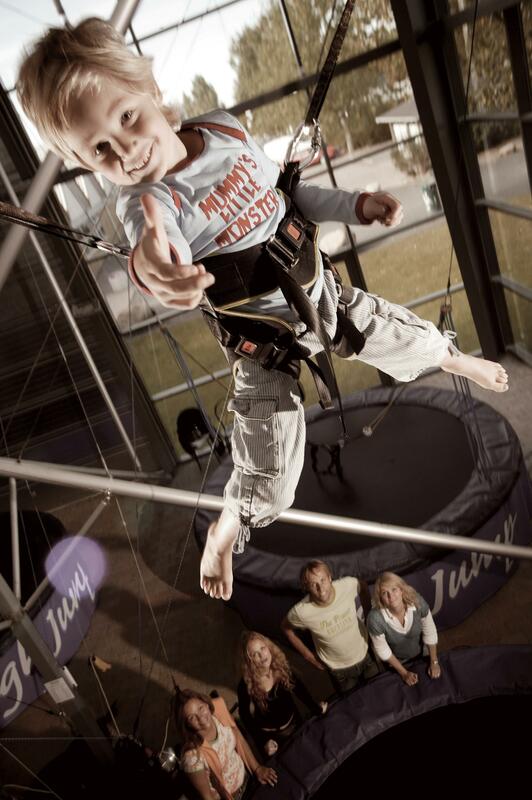 OUR WATERPARK, MONKY TONKY LAND AND CHILDREN'S ENTERTAINMENT ARE AVAILABLE TO OUR RESIDENT VISITORS FREE OF CHARGE. PLEASE NOTE THAT SMOKING IS FORBIDDEN IN ALL HOLIDAY HOMES. Lalandia is situated on Lolland, more specifically southern Lolland near the town of Rødbyhavn, from where the ferry to Puttgarden in Germany sails. Lolland is an island and access to Lalandia is either by ferry or bridge. From Zealand, the quickest, shortest route is to drive south along the motorway until you reach Rødbyhavn. From Jutland and Funen, the easiest route is to take a trip across the Langeland Belt on the Spodsbjerg – Tårs ferry. On southern Lolland, Lalandia is located in an attractive area of natural beauty close to the old entrenchment where King Christian IV lost one of his eyes. In the attractive surroundings close to the Baltic Sea, you can go for a morning run along the dike by the Baltic Sea. There are also both sightseeing and shopping opportunities in the vicinity of Lalandia’s tropical holiday centre. For many years, Lalandia Holiday Centre has been known for its indoor tropical water park, which is still in high demand. However, you may also enjoy the water in the outdoor facilities of Lalandia Holiday Centre. 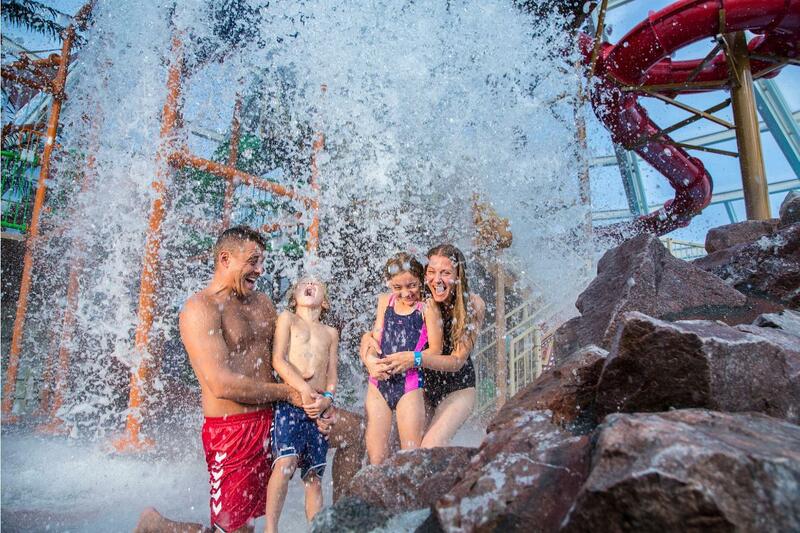 Enjoy life in a wonderful, heated spa pool - or go down the nearly 100-metres long water slide Wild River. Lalandia Holiday Centre also offers a variety of activities and several branches of sports. Have a massage when you are done, and look forward to the next day's exciting experiences at Lalandia Holiday Centre. You are free to choose among the various types of holiday homes, which Lalandia Holiday Centre features. The holiday homes at Lalandia Holiday Centre vary from 50 m² to 103 m². In other words, Lalandia Holiday Centre features light and wonderfully decorated holiday homes providing accommodation for 2 - 8 persons - so it is no big deal to find the proper holiday home for your stay at Lalandia Holiday Centre. Lalandia Holiday Centre is one of the best known and most attractive holiday centres in Denmark. The large number of activities and the easy access to the beach means, that a stay at Lalandia Holiday Centre is never boring. 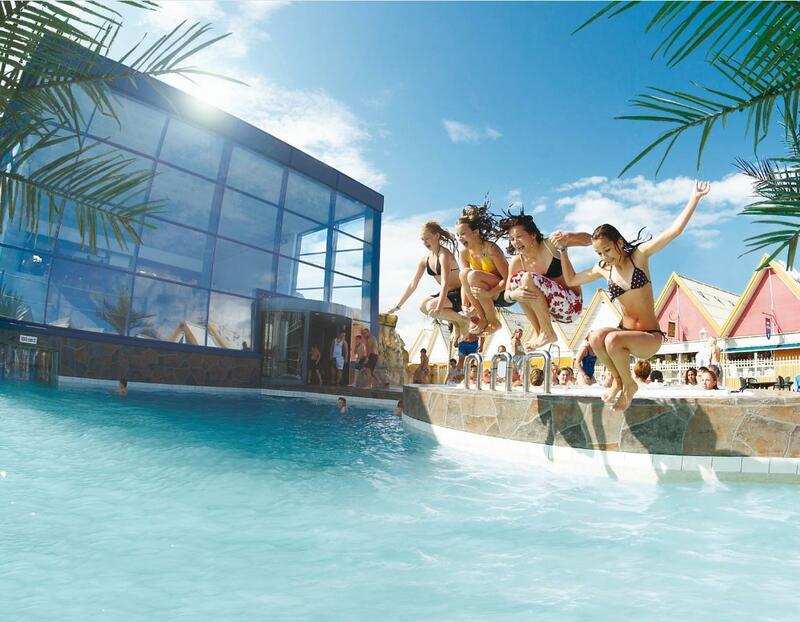 The water park is a guaranteed success all year round – so there is no doubt that the family is in for an unforgettable holiday at Lalandia Holiday Centre.